Tropical and Savory. 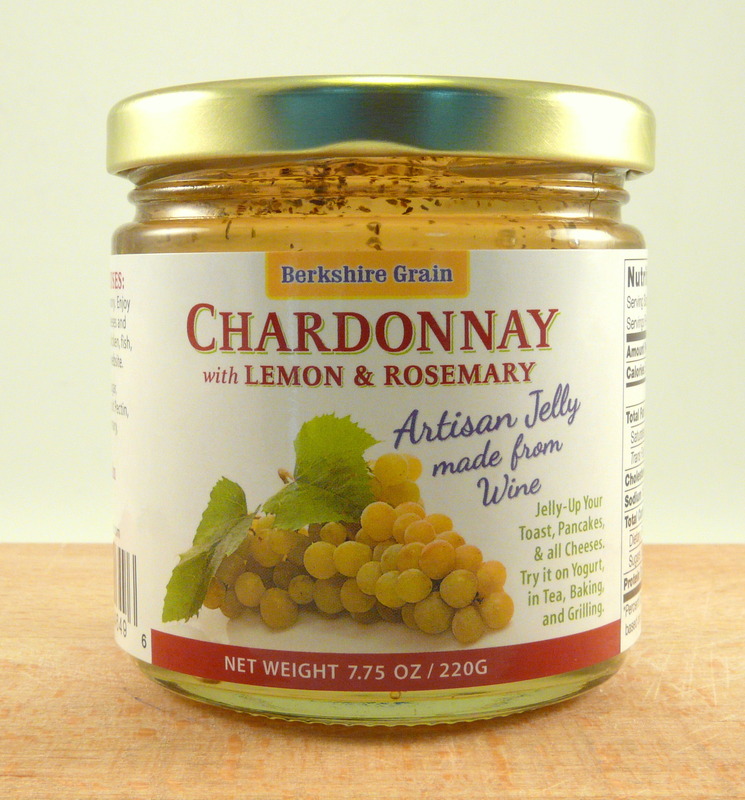 Elegant and Creamy Smooth best describes this Chardonnay Wine Jelly. Fresh grated Lemon and Rosemary makes a very appealing addition to not only creamy cheeses, try brushing onto chicken, fish, pork, lamb during last few minutes of cooking. Packaged in 7.75 oz glass jars (when the Wine Jelly is done the jar makes a perfect stemless Wine Glass, for picnics and backyard entertaining), Scroll down for Additional Product Info and Purchase Options. ** SOLD IN SETS OF 4 JARS (Mix & Match) -- $7.50 EACH -- FREE SHIPPING! Made from 100% Chardonnay Wine is quite fun with a familiar aroma of peach and pineapple. We couldn't resist playing with the flavors by adding lemon zest and fresh rosemary. The result is just delicious and invites you to cook with. Serving Suggestions: with crackers, and all cheeses....Morning Toast will never be the same! Also try brushing on your poultry and fish, before during and after cooking. Ingredients: milled sugar, chardonnay wine, natural fruit pectin, dried rosemary, lemon peel.